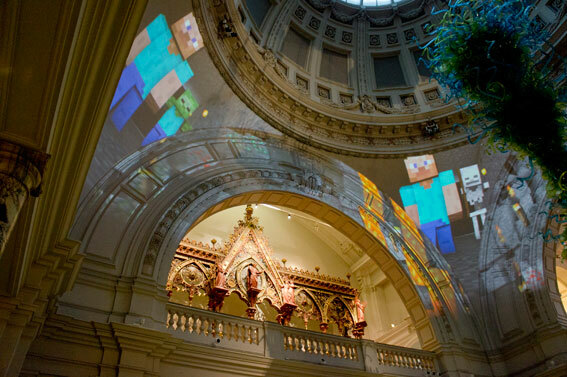 The London V&A Museum was recently taken over by the Minecraft community during a special event called the Friday Late. 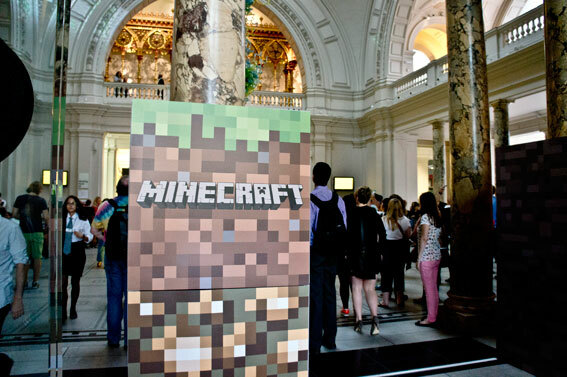 The museum was so full of Minecraft player enthusiasts of all ages, that it was impossible to take part in some sections of the program. The popularity of the game is so huge, that it seemed to have surpassed the expectations of the event organisers. I was luck enough to attend an interesting talk about how the game has been used as a design tool in urban planning in Nigeria. The United Nations Human Settlements programme (UN-Habitat) collaboration with Minecraft is called Block by Block. The game was used successfully as an urban planning visualisation tool in order to enable communities to be actively involved in designing their neighbourhoods. This was a great example of the enormous possibilities how to use gaming as an educative, engaging and approachable tool in complex problem solving situations.